It’s not every day that you manage to stay on the intended path. For better or worse, there just are days when your feet (and decision making skills) take you on the road less traveled or even the path-that-isn’t-a-road-but-rather-a-thicket-in-the-woods. 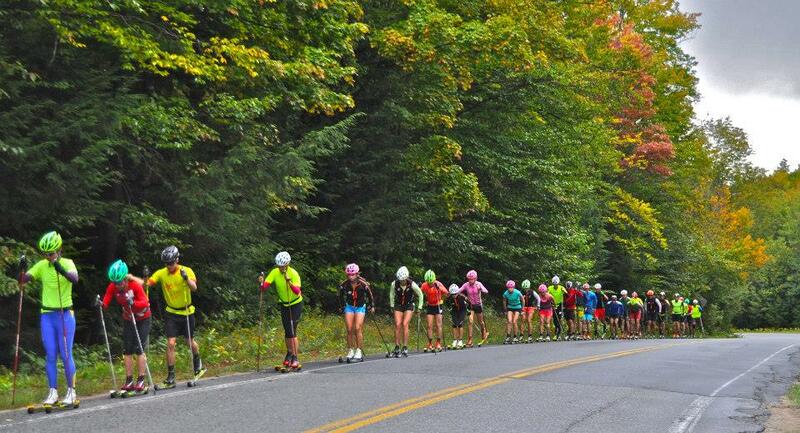 This past Sunday the GRP skiers set out for a long run/hike on trails near Lake Willoughby. 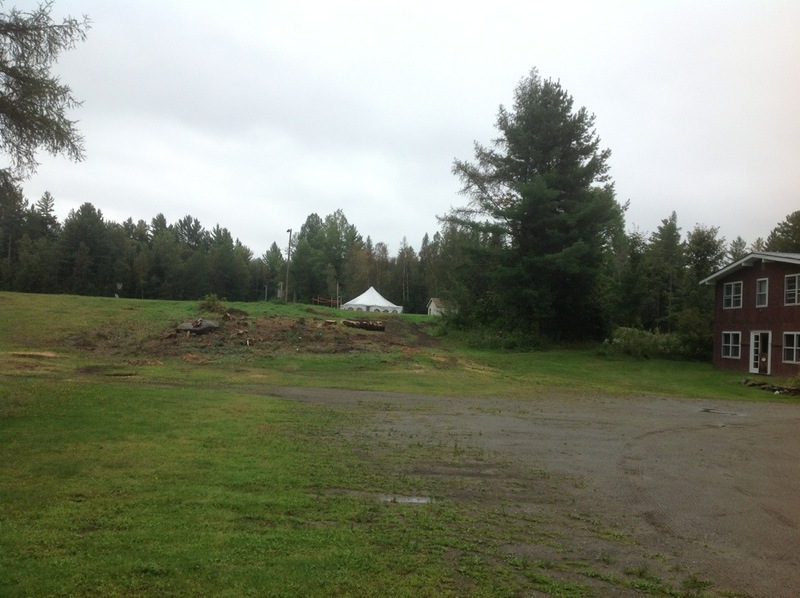 It had rained during the night and looked dismal outside as we drove away from Craftsbury, but the weather cleared up a little at the start and it looked to be a good day for a trail run, though overcast and cool. About half of the group seemed to have had a nice point-to-point run along the trail as planned, and the other half of us… well… we had somewhat more of an adventure. Liz, Andrew, Pete, Jake and I ran together in a group, a little ways behind the others. I don’t think anyone else in our group of five had been on this trail before, and I had run across it only once a year ago with teammates who knew the trail well. So I had no memory of the intersections, only a vague sense of the terrain. Pepa printed out maps to help guide us from start to finish, which several of us carried, but the map didn’t label trail names and we didn’t exactly study it before setting out. Mostly, we just made some suspect collective decisions…you know the feeling you get, when something really shouldn’t be that difficult, so you make an impetuous decision after a quick discussion and then move on, pretty confident that everything will turn out just fine, because how hard could it be really? I know I had that kind of feeling, and also I’ll be the first to admit that my on-the-fly navigation skills are known to be pretty marginal. I wasn’t trying to be the one making decisions, but I did have the map. So we came to a 3-way intersection, with two signposts that both said “North Trail”, one sign with an arrow pointing right and the other pointing left. So we looked at the map, (ignored some very obvious facts, in retrospect), looked at the trail for muddy footprints and a sign of which way everyone else went, and chose to go left, based on a vague feeling that that was the correct way, but no sign of teammate footprints and not much of an idea where on the map corresponded to our location. We came to a second intersection, another 3-way, maybe fifteen minutes later. This one had a single signpost, with an arrow pointing left. Above the arrow, it had separate signs for Mt. Hor, Moose Mt Trail, and something else. We had been over Moose Mt already, so we didn’t think we wanted that trail, even though we knew we needed to go over Mt. Hor still. Another impetuous decision, we chose to turn right (away from Mt. Hor), which took us down a big hill and into more major-looking dirt roads. At this point, we took out my cell phone and tried to use it to look at Google Maps, but the service was too slow for it to tell us our location. We’d only been running for about 1.5 hours of the planned 3-3.5 hours, so it wasn’t nearly time to call Pepa yet and report being lost. Much to everyone’s annoyance, we made a collective decision that we needed to retrace our steps back to the previous intersection, up the big hill. There was some debate about what the signs had said at that intersection, and also a debate about whether we needed to backtrack just one intersection or two. We backtracked just one and headed towards Mt. Hor, we thought. 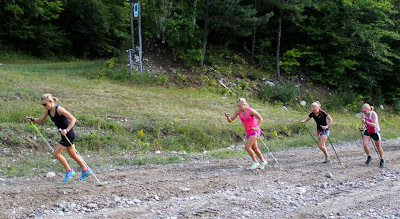 Jake and Liz’s adventure involved hitchhiking, speed running to a point they thought they might find the van, then borrowing a stranger’s phone to call Craftsbury. A message on Ethan’s phone let Pepa know where to find them, and they were very relieved when the van pulled up. Andrew, Pete and I went swamping. On our shortest-line path, we found a pond in between us and the road, so we skirted around it, but it had a really big marshy section on the end. First there was trudging ankle-to-calf deep in mud and water, dodging cattails and climbing over dead trees. Then we reached a channel of water, with a choice of going around, which would be a substantial distance and involve lots more mud, or going through. Since we were wet already, but not cold, the obvious choice was to go through, saving time and having a bit of fun. Yes, fun! My motto in these situations is basically, “you just have to keep laughing.” Situations like these can go downhill quickly, if you’re cold, hungry, out for too long, have no idea where you are, or have no hope of rescue, but since we weren’t in any of those categories, it was still ridiculous fun. Pete and Andrew waded the channel while I stood on the bank, laughing, encouraging, and documenting the crossing, fairly certain that one of them was going to take a step and suddenly plunge neck-deep into the mucky water. Luckily for all of us, that didn’t happen, it was only waist deep! Just a few minutes later the three of us reached the road and before too long Pepa drove up, and we were safely rescued from our adventure, only about 3 hours 45 minutes after we’d started, and Jake and Liz were rescued shortly after too. That afternoon, as soon as I got back to the house in Craftsbury, I pulled up a map of the area on Google, and took out the map I’d been carrying, and sat down to figure out where we went wrong. (Hence this description of our path and all the map route pictures… part of my way of teaching myself not to do this again, maybe?) The route we should have taken looks so obvious after contemplating the map and the turns we took, but it certainly didn’t seem straightforward out on the trail, when one bad turn compounded into confusion and a series of mistakes. By the time we returned to Craftsbury, a little late for lunch, everyone there seemed to know about our little fiasco. Now you know the story too, if you’ve had the patience to get all the way through this tale! 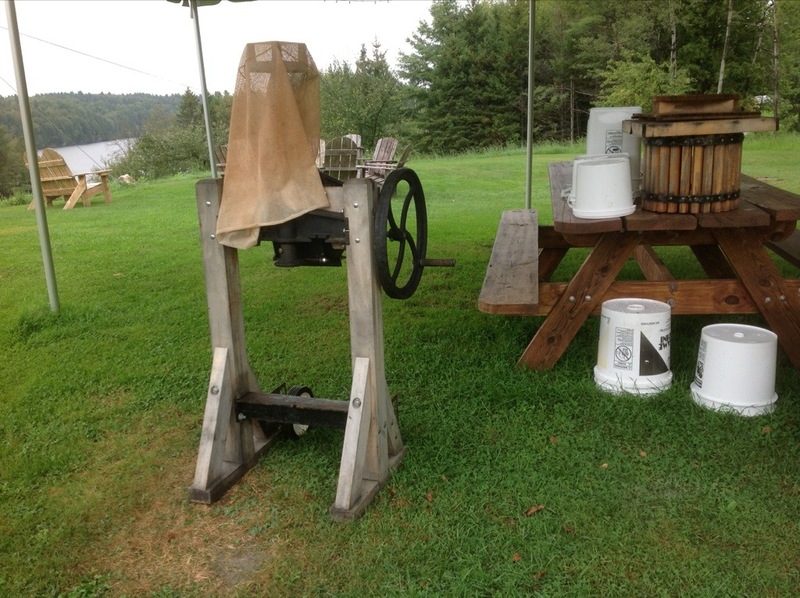 I know we have turned the corner into fall when the apple cider press appears next to the pizza oven. Tomatoes! The green houses were just starting to ripen when I left. The harvest season is in full swing now with lots of different produce showing up in the dining hall. 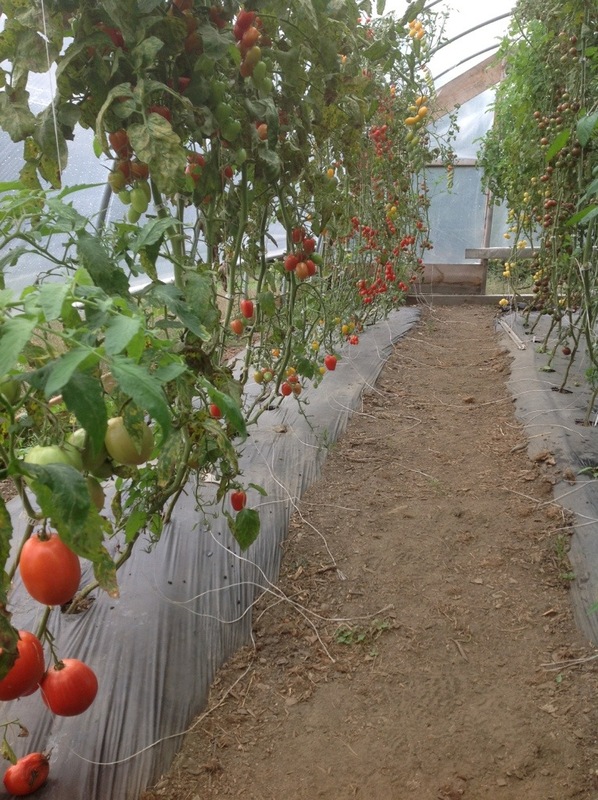 We have had to start covering outdoor crops for occasional overnight frosts. Oktoberfest at Craftsbury is coming up on October 5th and 6th. By the look of the wax bench in Elinor’s House, the GRP skiers are busy preparing. 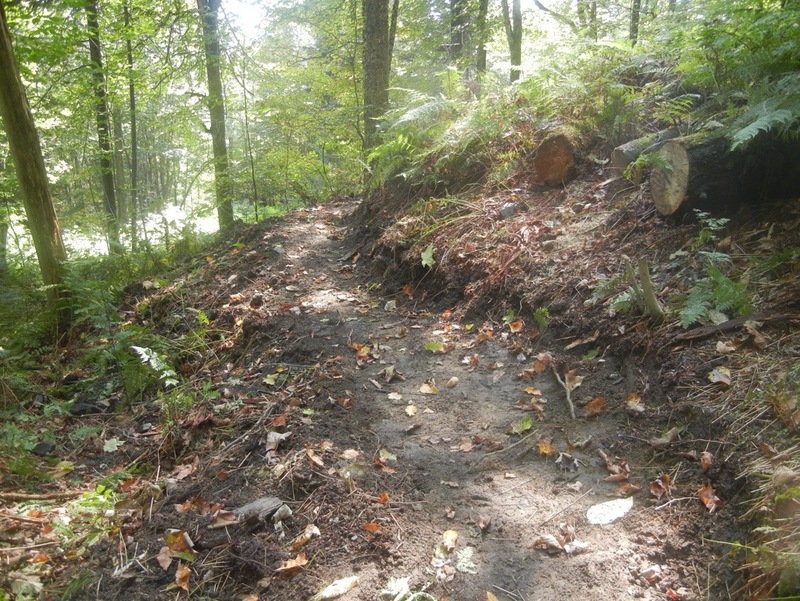 Freshly cut single track. The bike trail system has continued to expand. 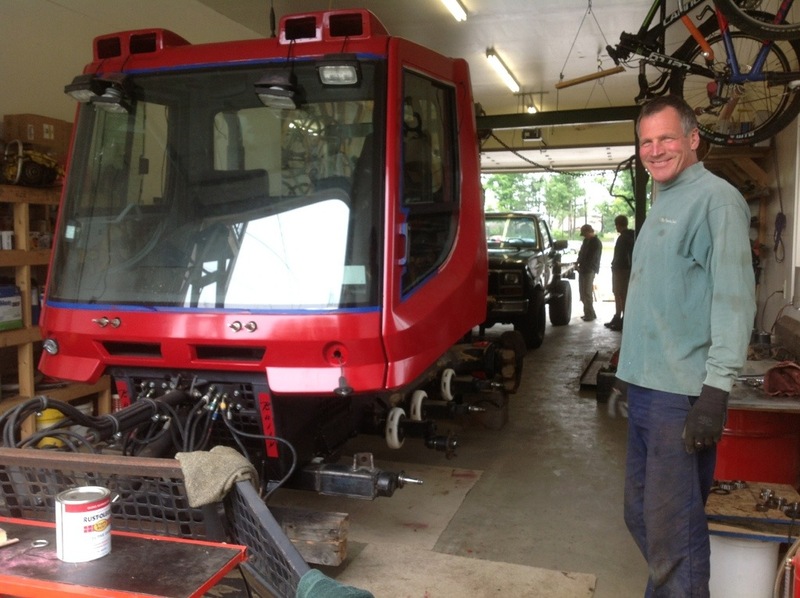 Keith’s continuing process of smoothing and widening the ski trails continues. 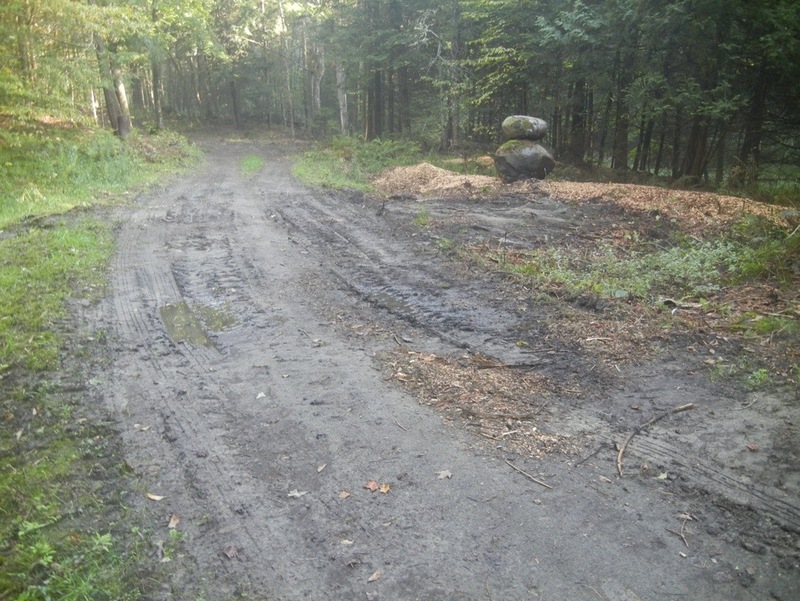 There will be no bottlenecks in races along the Bailey-Hazen cut-off trail. The view from the parking lot suddenly changed drastically from my childhood memories of skiing at Craftsbury. A new Touring Center is in the works, scheduled to open in May ’14. Our post lunch entertainment this week was watching the blasting begin at the construction sight. Eric preping the piston bullies for trail grooming. I spotted some freshly harvested bunches of garlic hanging to dry in the shed’s rafters. 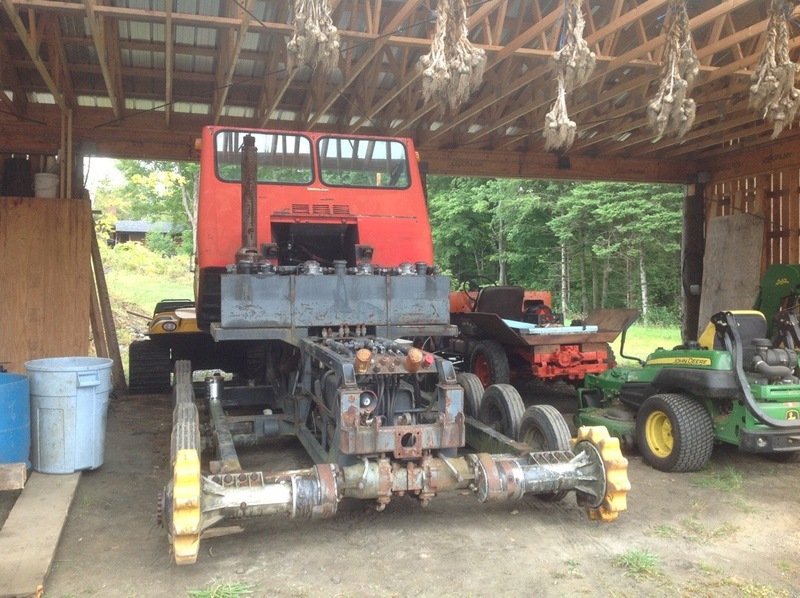 The recently acquired machine underneath, an older piston bully, will soon be retrofitted with a manure spreader to transport and spread man-made snow. 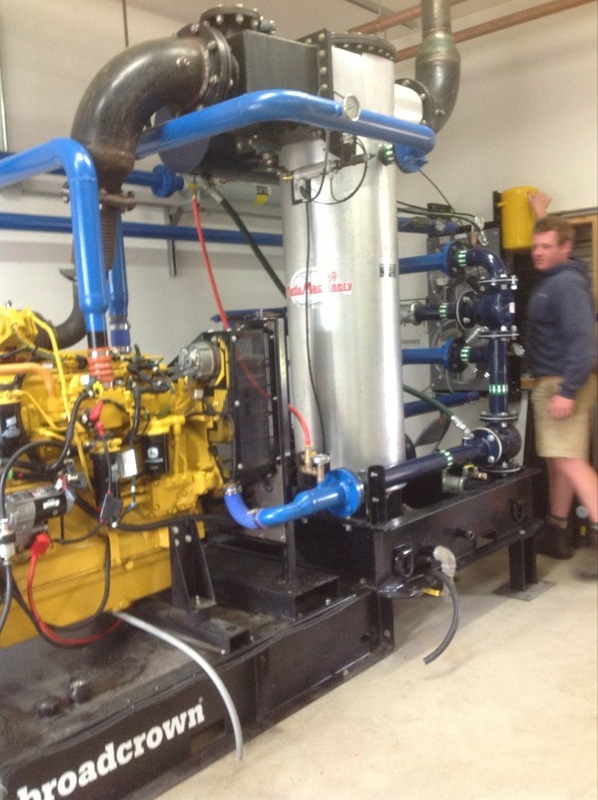 Another component is the waste heat from the snow making system. Lucas and the maintenance team have engineered a way to capture waste heat from the pump’s generator (yellow machine on left). 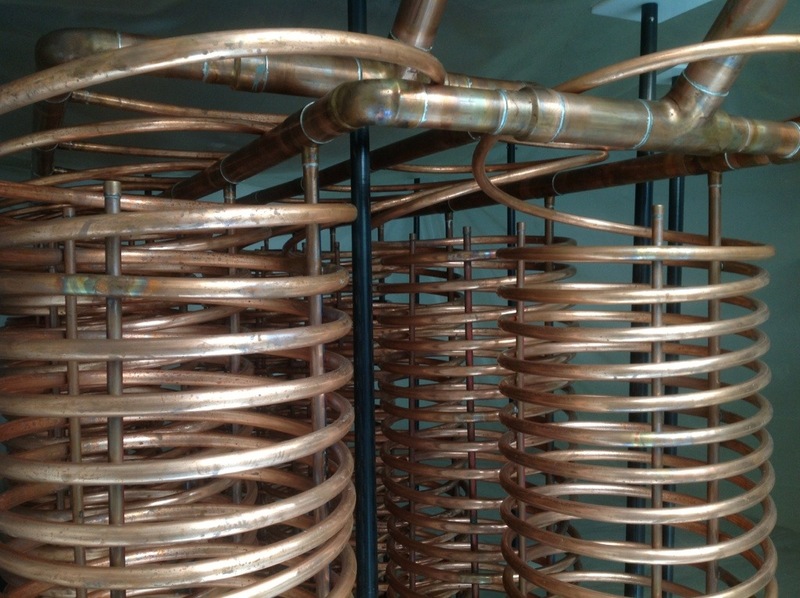 The cylindrical heat exchanger (center) transfers the generator’s waste heat into hot water. Hot water from both the snowmaking system and the wood boiler will flow through this series of newly installed coils, heating up water inside this underground 20,000 gallon storage tank. Water from the tank will heat the buildings. Fall is in the air! The trees are transforming into lovely combinations of oranges, yellows, and reds. 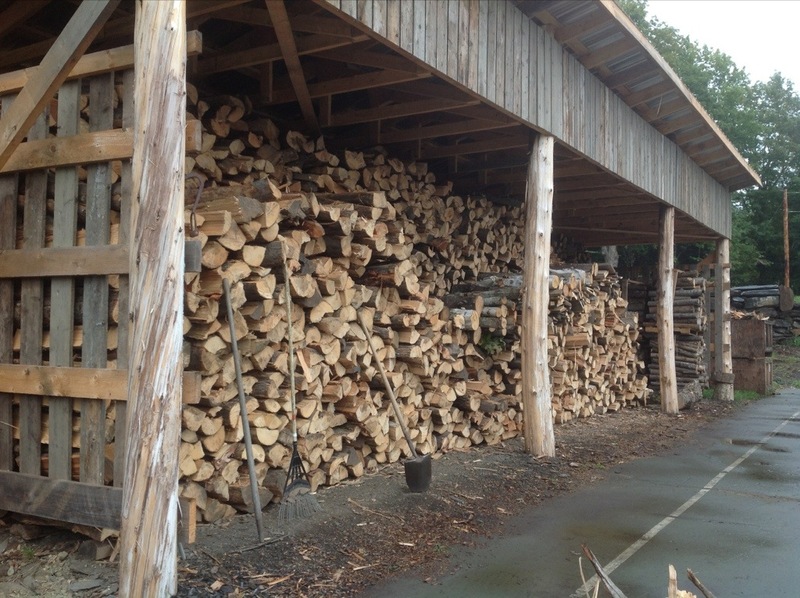 We’ve had to cover vegetables with blankets and row cover in the gardens to protect against the first couple frosts of the year, the harvest moon will be in the sky tonight, and that added excitement which accompanies the nip in the air is running through every Nordic skier’s veins. Every year autumn is kicked off with the annual Lake Placid training camp. As the weather cools and the leaves start to change, we up the intensity with a camp full of hard sessions in the Adirondack mountains. 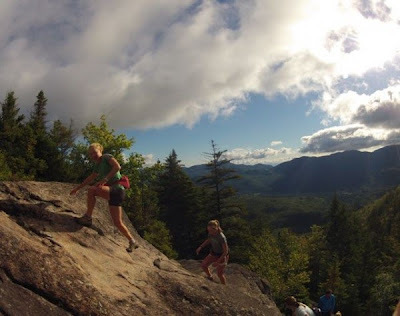 It’s the perfect setting with lots of mountain trails to run on, quiet roads for rollerskiing, a rollerski track at the Olympic complex for speeds and sprints, and of course Whiteface Mountain providing enough vertical to fill the muscles with lactic acid while bounding or rollerskiing up it. This camp is one of my favorites because its close to home and there is always a great group of skiers working hard together and pushing the level with every training session. 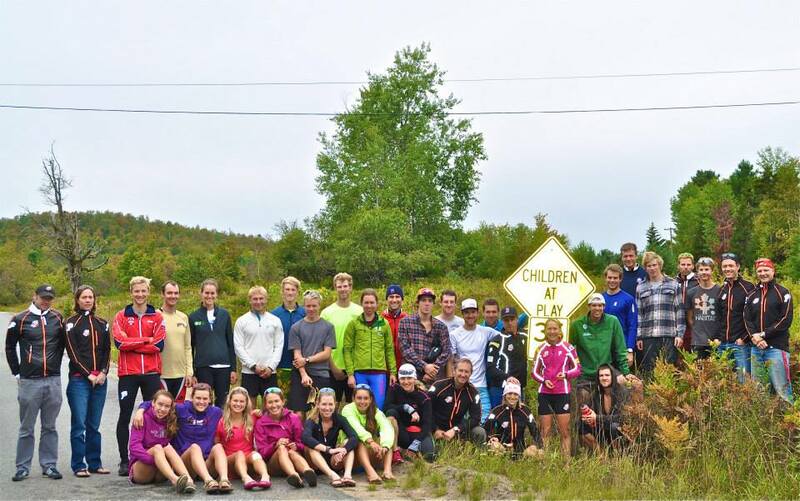 This year wasn’t any different and we had an awesome group of athletes from Craftsbury, Stratton, the USST, National Training Group juniors, and more. For me its fun to have both of my teams training together in the same place! In twelve days we trained close to 40 hours including two overdistance workouts, two speed sessions, four intervals workouts, and one uphill rollerski race. 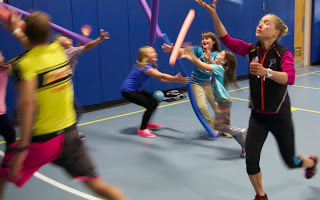 Children at Play! Absolutely! Thanks to everyone for their hard work making the training a success. The Craftsbury team rented houses in town that had a great sun deck for soaking in the last of the summer rays. I stayed with my US Ski Team teammates in the Olympic Training Center. It’s dorm style living and can be a bit boring at times but its perfect for recovery between sessions with a cafeteria open for 14 hours each day, ice baths and contrast baths available, foam rollers and a PT room, and very few distractions for easy napping and resting. 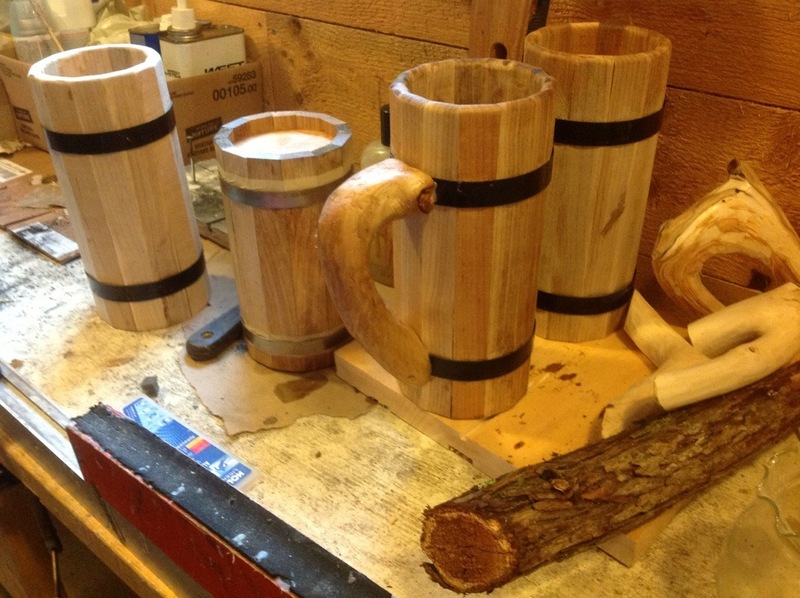 This is my first post on the Craftsbury blog, but I have been training with the GRP since mid-July. Since I’ve been here, my fitness has improved exponentially but my starting place made that no exceptional feat. This spring I participated in a low-altitude training camp sleeping below sea level for 5 weeks. This will go down as the most mentally grueling experience of my life, possibly setting a record for fewest hours of training and sleep for a full-time ski racer. I never lost sight of my ski goals though; I would tie bungee cords to a metal loop on the bow to practice my double pole with a very wide stance to avoid toppling over from the waves. Below is the sailing school vessel on which I spent the final quarter of my college experience conducting open ocean research on plankton and sargassum from St. Croix to Bermuda to Woods Hole, MA. Our one port stop along our 2000 nautical mile voyage in St. Georges, Bermuda during the first week of June. I finally made landfall on June 17th, and have since trained with a renewed motivation that I haven’t felt with this intensity for years. Another perk of spending a month on a boat is that my knees, plaguing me with pain for the last year, have completely healed allowing me to run again. 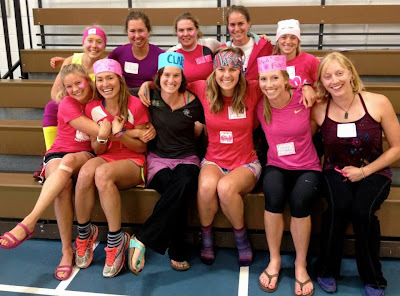 After spending a couple weeks in my hometown of Anchorage I joined my new team in Craftsbury at last on July 15. Above is a picture from the demolition derby from a GRP night out at the county fair. I love living up at the Craftsbury Outdoor Center. The people, the place, and food are all awesome. We are now at a training camp in Lake Placid. Above is a picture of an afternoon strength workout on the deck between the guys’ and girls’ condos here at LP. My favorite part of the camp was a long run in the Adirondacks. Luckily I brought my camera for an excuse to lag behind. An advantage of staying at our own place rather than the Olympic Training Center is we are directly across the street from “Bowl Winkles”. I bowled a perfect 100. It was the greatest night of our lives. Today was a rest day so I borrowed the van and previewed the course for Climb to the Castle tomorrow. Since I payed a toll to drive up I decided to get my money’s worth. At the top of Whiteface is a tunnel that burrows 500 feet into the mountain to the base of an elevator. The elevator ascends 27 stories to the summit of the mountain. I was fascinated and confused, but glad to explore today since tomorrow I will be so exhausted. Practicing some advanced yoga poses. Tomorrow is the last day of the camp! 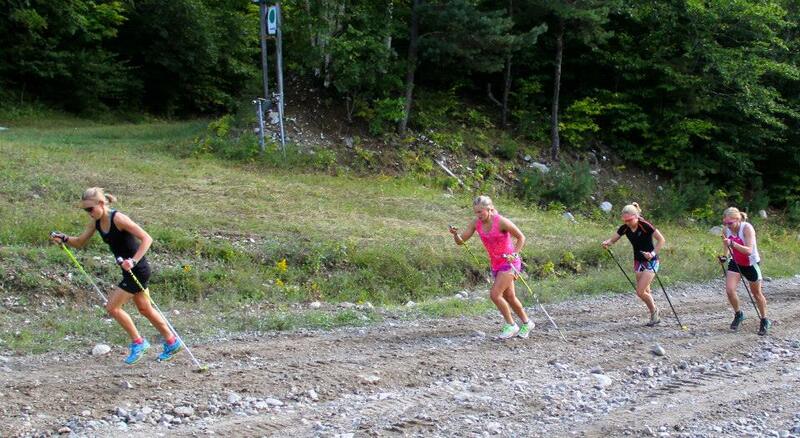 All we have to do is rollerski up the 5th highest mountain in New York then we are outta here. We’ve had a great time, but we sure miss the food back home.